Catholic News World : Donate to a Missionary for Christ - #NET Evangelization bringing Jesus to Youth! Donate to a Missionary for Christ - #NET Evangelization bringing Jesus to Youth! Cameron lives with a passion for life, music, family, the Blessed Virgin Mary and the Blessed Sacrament. 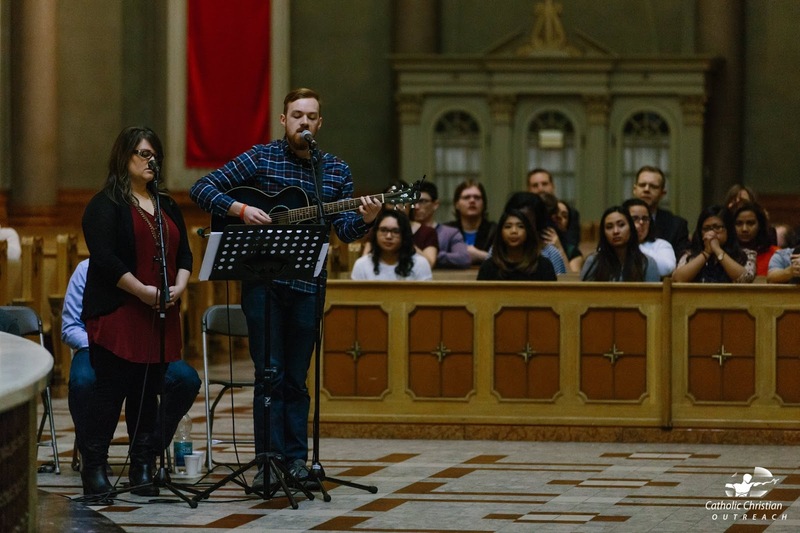 He has been a worship leader for national events like the New Evangelization Summit, CCO Rise Up, and the National March for Life on Parliament Hill. After a year of mission in Montreal, he now serves in NET’s Ottawa office as the Local Ministry Coordinator, drawing from years of ministry leadership experience. He and his wife Sara along with their daughter Lucy live in Hammond, Ontario.